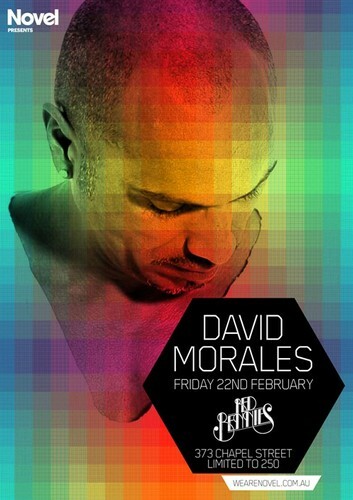 Novel & Red Bennies proudly present David Morales for an intimate, up, close and personal exclusive Melbourne performance. The special event is limited to 250 tickets. Support by Shane Copal and others.